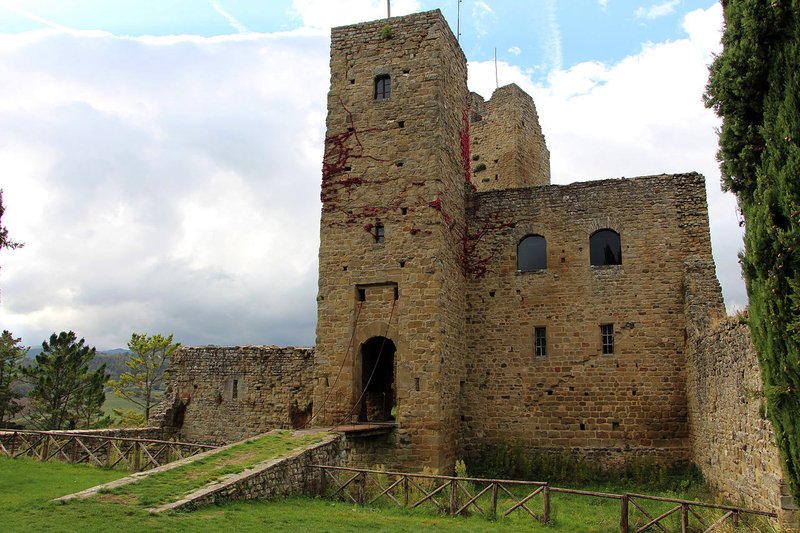 The Castle of Romena rises on a hill once occupied by the Etruscans, in the green Casentino Valley not far from the ancient village of Pratovecchio. 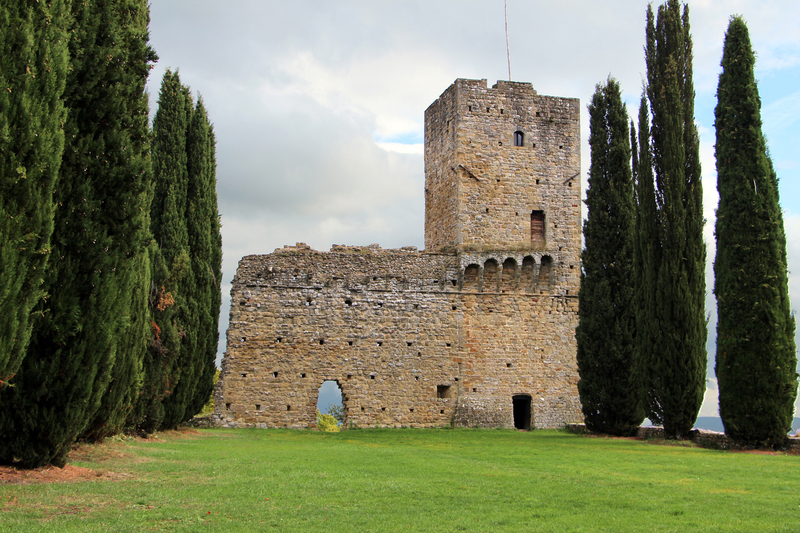 Built on the beginning of the 11th Century by the Counts Guidi Family, it has recently undergone restoration, and now presents three of its former 14 towers, and the keep of the three circles of walls. The entrance is placed north through the so-called Gioiosa and Bacia Gates. 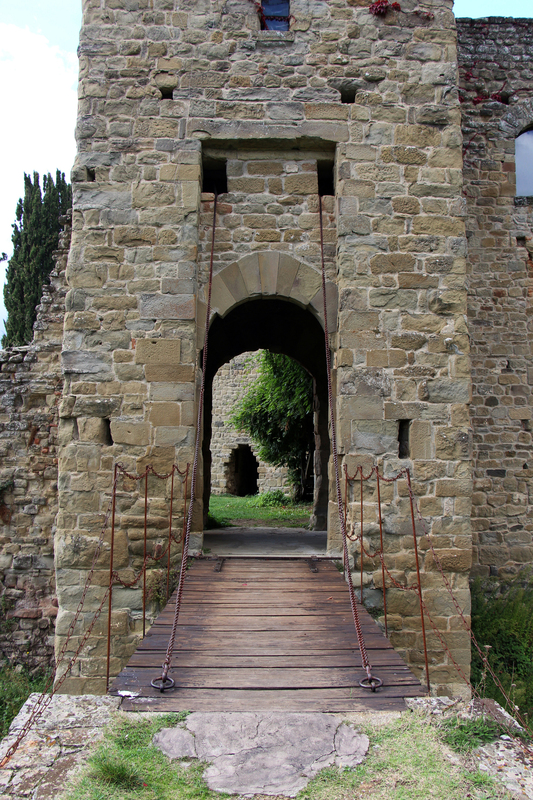 The quarterdeck is accessed by a tower with drawbridge and moat, and once inside you can notice the two nuclei of the structure: the house of the “Podestà”, residential palace of the Counts Guidi of Romena which contains a reconstruction in scale of the castle as it appeared in the 13th Century, and the keep, the more secure and tallest tower; there are also a cistern for rainwater collection and an underground tunnel that led outside. 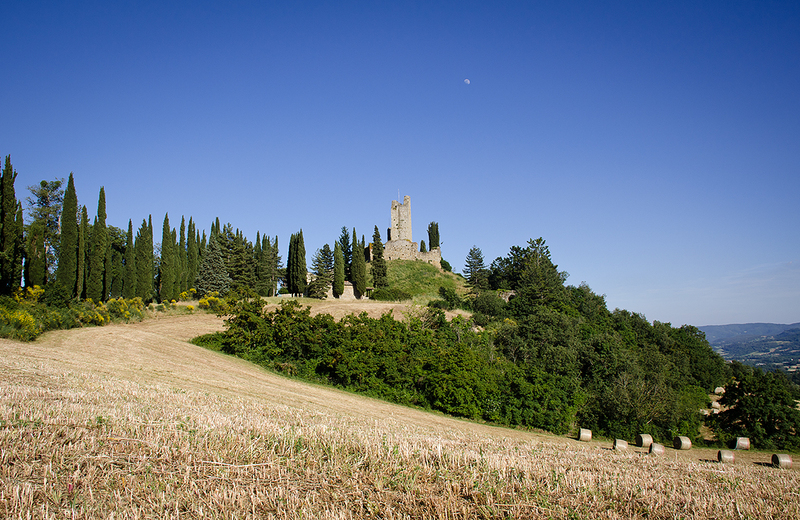 Between the keep and the third remaining tower is the large space of the parade ground, where in 1901 pitched his tent Gabriele d'Annunzio. The last of the towers is called the Prison Tower. In a chamber near the walls is the Archaeological Museum. 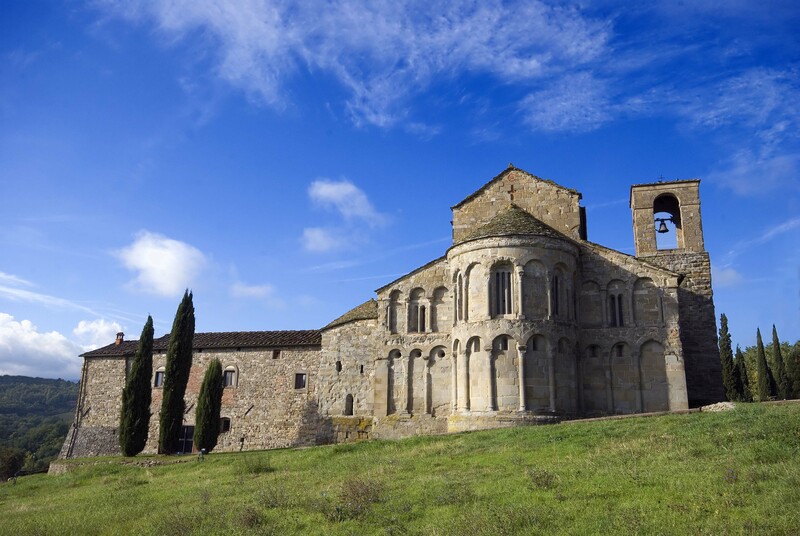 The nearby Parish Church of San Pietro di Romena (1152, on the remains of a 9th Century church) is the most outstanding testimonials of Romanesque art in the Casentino area. Recently undergone major renovations was reopened to the public some years ago and can be now visited for a fee. 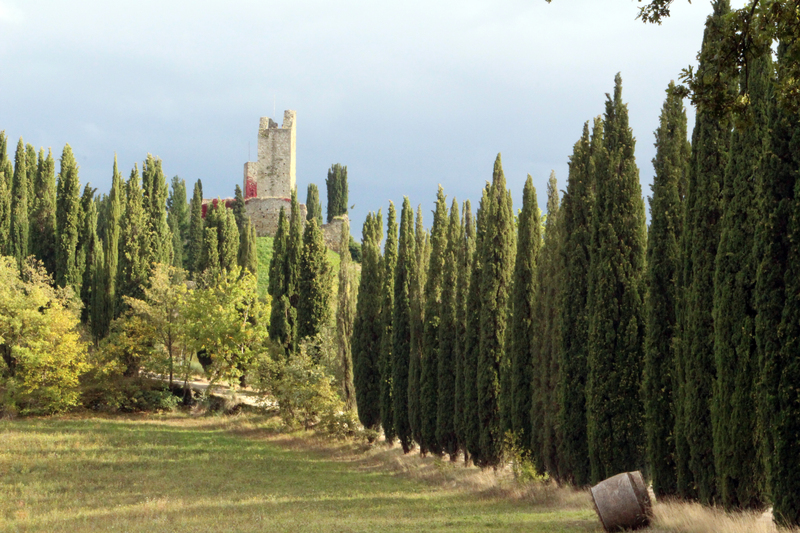 The Casentino Valley, beautiful green corner of paradise, history and culture, book a holiday to remember with us!